Avocados are an excellent source of proteins, potassium, fiber, and vitamin B complex. Its soft, creamy texture finds application in various preparations ranging from starters, main course, and desserts. Apart from this, avocado is low in sugar and rich in good fat. This makes avocado a healthy option to include in weight-gain diets. Additionally, the recipe adds the goodness of apple, pineapple, paneer, and celery as well. 1. Blend avocado and stewed apple in a grinder. 2. Heat oil in a pan and add the cumin seeds. Allow to splutter. Then add the cinnamon powder and celery and saute for few seconds. 3. 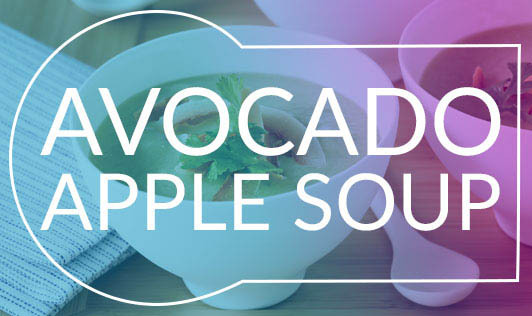 Add the avocado-apple pulp, lemon juice, sugar, and salt, and mix well. Cook for 2 minutes. 4. Add the chopped pineapple and paneer to this and simmer for a minute. 5. Garnish with coriander. Serve hot.